The study of the electrical properties of polymers constitutes a substantial fraction of the total research interest in macro- molecular behavior. Because of the increasing attention now being paid to theoretical and experimental aspects of the phenomena encountered, a symposium focusing particularly on dielectric behavior was held at the l6lst National Meeting of the American Chemical Society in Los Angeles, California, March, 1971. 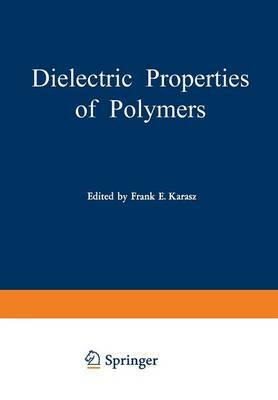 The authoritative papers in this volume were all presented at this symposium, which was sponsored by the Polymer Division of the American Chemical Society. An obvious advantage of such a collection is that it keep~ together closely related material which would otherwise tend to be dispersed amongst different journals; a further factor of which most authors represented here have taken advantage is that it gives an opportunity to present research in less attenuated form than is now normally possible in journals. I wish to thank all the authors for their uniformly excellent contributions and for their cooperation in the publication of this volume. Thanks are also due to Dr. S. Matsuoka for chairing one of the sessions at the symposium. September, 1971 Frank E. Karasz v LIST OF CONTRIBUTORS B. Baysal, Department of Chemistry, Dartmouth College, Hanover, New Hampshire Richard H. Boyd, Department of Chemical Engineering and Division of Materials Science and Engineering, University of Utah, Salt Lake City, Utah M. G. Broadhurst, Institute for Materials Research, National Bureau of Standards, Washington, D. C.